WhatsApp is one of the most famous mobile-first tools. The messenger started out in 2009 as an idea to send notifications to friends. At the moment, 1.5 billion people use WhatsApp for both personal and work-related conversations. The company has recently launched WhatsApp Business – a separate application for small companies. Steady progress in business communication industry makes WhatsApp a rival for other team chat apps. Short disclaimer: Our team works passionately on Chanty, an AI-powered team chat. From time to time we try different team chat software and analyze their strengths and weaknesses as customers. The lessons we have learned help us develop a cleaner, faster and smarter tool. Chanty team is well aware of Slack. 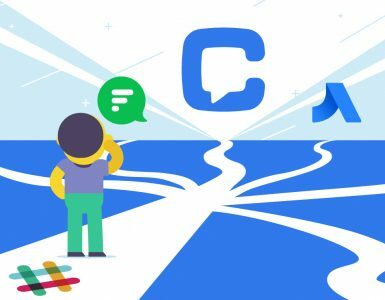 We’ve tried a fair amount of team communication apps and described our experience in a series of articles: Slack alternatives, Discord vs Slack, Ryver vs Slack and many more in Team Chat Wars category. 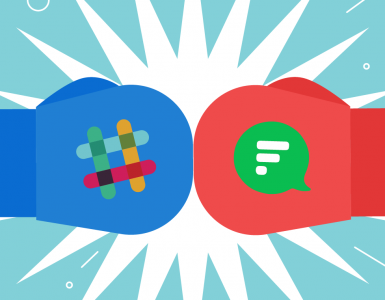 We also got excited to check how Slack can compete to WhatsApp Messenger. Here and now I’ll share the most up-to-date WhatsApp vs Slack comparison. Let’s put down a puzzle together, shall we? 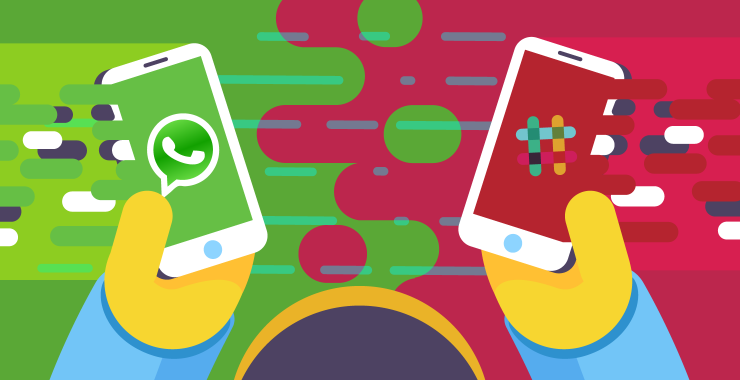 WhatsApp vs Slack: How Our Team Spotted the Champ. If you are not interested in a detailed description of these two messengers, I offer you to check the following table. 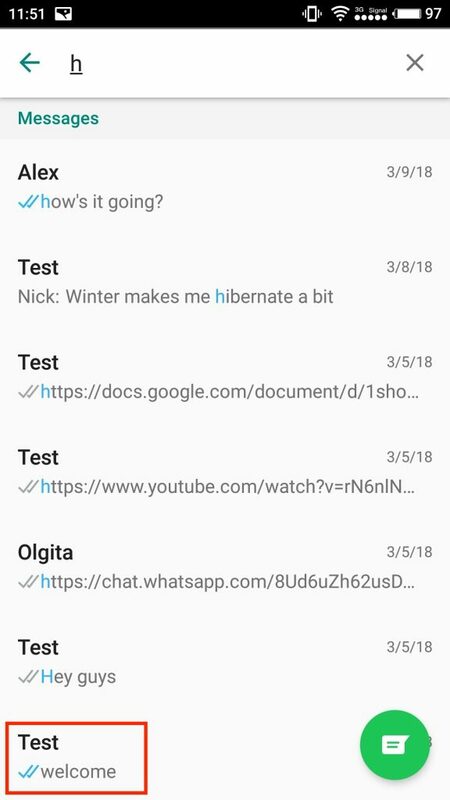 It shows all core features of Slack and WhatsApp. Plus, I’ve covered the latest information on WhatsApp Business you may have missed. Usually, I don’t pay much attention to how the interface of any messenger looks on different mobile platforms. WhatsApp made me change my mind. If somebody asked me to comment these two screenshots, I would never say that it was the same app. Colors, panels, and buttons are absolutely different. At the same time, the interface looks clean in both cases. As for web and desktop applications, the user interface of WhatsApp and Slack has something in common. The left sidebar displays all your conversations, the right one – the history of opened dialogue. Other features are hidden behind different buttons. To improve user-friendliness, Slack manages its space more efficiently. First, it divides conversations into Public, Private channels and direct messages, while WhatsApp offers only in one-to-one or group chats. Second, Slack lets you customize colors of the left sidebar improving user experience. Once you change the theme, new settings are automatically applied to your mobile application. Joining WhatsApp is easy: choose a country from the drop-down list, enter your phone number and confirm creating an account with a 6-digit code. WhatsApp Messenger uses the data from your phone contacts and provides you with a list of people you can connect with this tool. To verify whether a person uses WhatsApp or not, you should save a contact’s name and a phone number. If they don’t have a WhatsApp account, you can ask to download this app via email or another messenger. Text and voice messages ensure the chat feature in WhatsApp. You can reply a message, star or forward it. I find the last feature confusing. It would be great to have an extra info about the sender of the message. Check your messages twice before sending, because for some strange reason WhatsApp has no Edit button! In case of a mistake, you can delete the message for everyone in a limited time period. If you succeed, there will be a corresponding notification. In case you need a direct access to a particular dialogue, you can create a home screen shortcut. This feature is very handy with a very long list of chats. Apart from that, you can take photos or videos right in the app, add filters, stickers, text and send them to others, share a place or your live location on Google Maps. 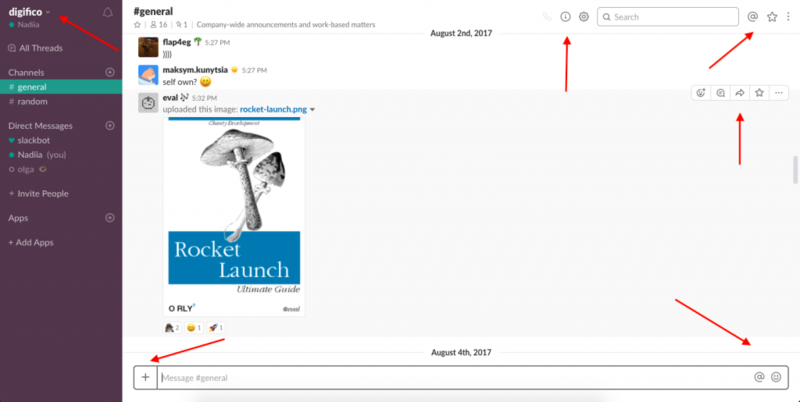 Slack offers a wider set of features: sharing, starring, commenting, pinning, editing, deleting, following messages and adding reactions to them. The Remind me and Mark unread buttons won’t let you forget about a particular message. 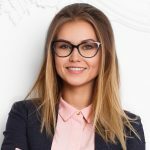 Urgently need to reach your colleagues in Slack group discussions? Make targeted announcements with @mentions. Threads, in turn, encourage a fully-fledged discussion tied to a specific message, link or file without distracting the general channel flow. Give @Chanty a try to save your time while working smarter, not harder. WhatsApp provides one-to-one audio and video calls without screen sharing. The web and desktop applications lack the audio/video calling feature. That means you can make calls from your mobile phone only. 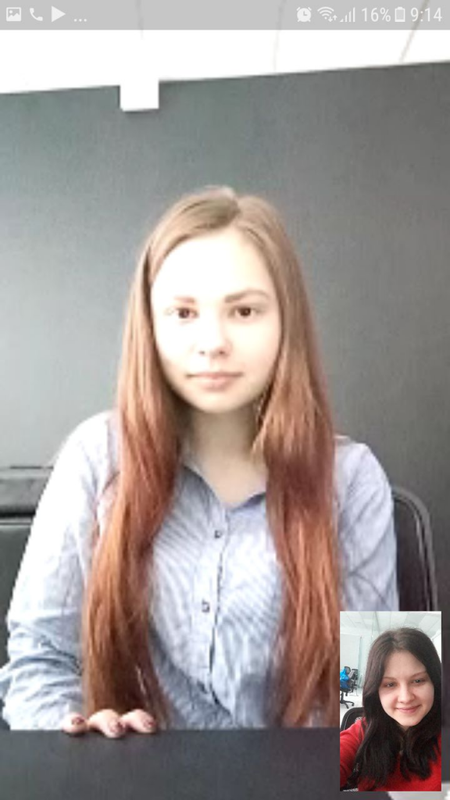 My colleague and I had video calls in WhatsApp several times. I heard her pretty well during our conversation, but ran into the overexposure problem. It might be my phone camera or some software-related issue, so mind that while using phone calls in WhatsApp. 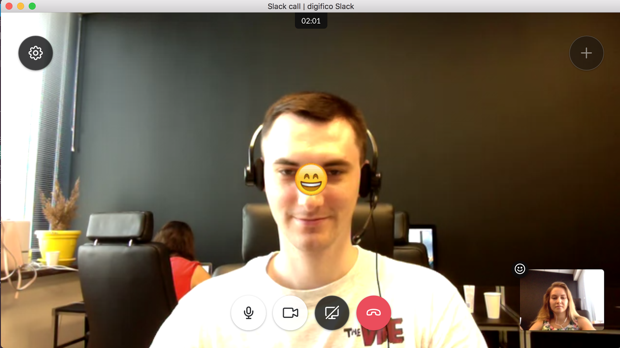 Slack’s built-in video calls become a legit alternative if you don’t want to integrate your account with other video conferencing tools like Skype, appear.in or Blue Jeans. Slack allows you to call one person at a time for free. Paid plan offers screen sharing feature and video conferences with up to 15 people. You can also let others draw on your screen and share the mouse control. We all have some moments at work when we need maximum privacy and time to focus. In WhatsApp Messenger, you can choose different settings for notifications from a single person or a group and set a ringtone with vibration for calls. There is also a mute feature that you can turn on for a particular conversation. 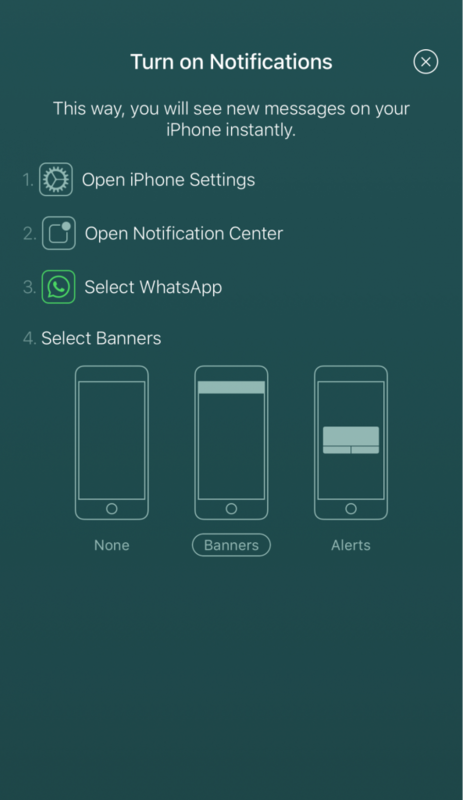 WhatsApp offers iPhone users to configure notification settings during the first launch. I suppose this popup should appear only once. Nevertheless, my colleague saw it every time he opened the messenger. 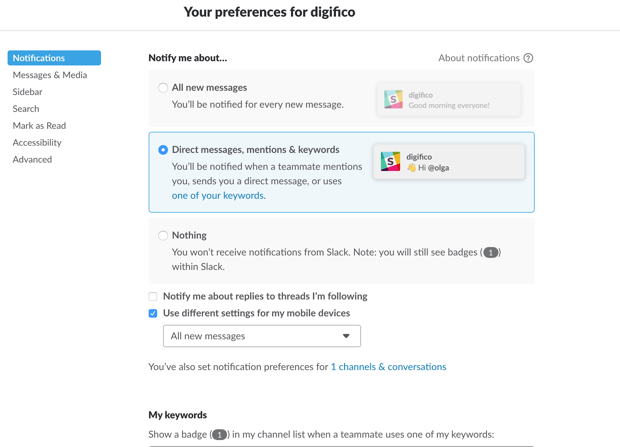 In Slack, you can feel like a boss with all kind of notifications. Keep your concentration under control with Do Not Disturb mode, channel-specific settings, keyword alerts and many more options. You can also mute channels, ignore @mentions and set different settings for your mobile devices. Enjoy the silence or get notifications on what’s important for you. WhatsApp delivers a very simple search tool. You just type whatever you need to find in the search field, and WhatsApp shows you all relevant messages. I tried to find messages with the letter h in order to test the search feature. As you can see, the results are pretty unpredictable. 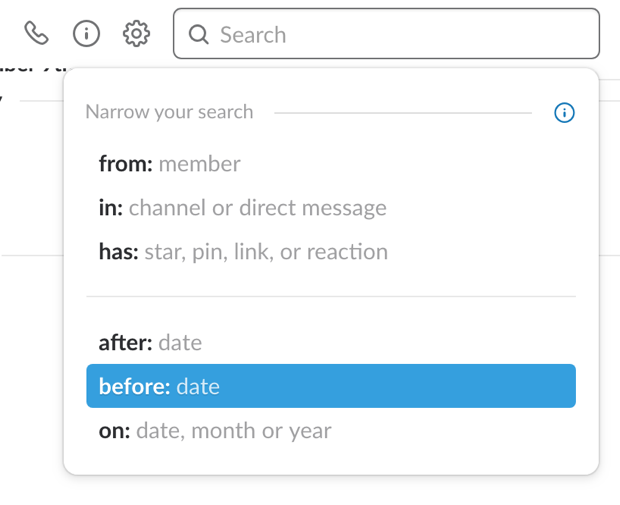 Slack comes with more advanced search. You can specify results with a particular person, channel or time period. What I highly appreciate is the search within documents. Office employees regularly share documents and it’s simply impossible to remember all file names. In Slack, you can recall words which the document contains for sure. And voila. Here it is. This limited service is now available only in India. Here is how this option looks like. 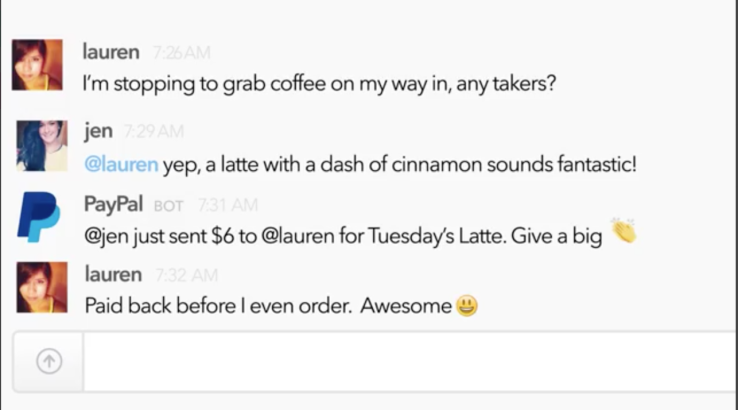 Slack doesn’t have a native in-app payment system. However, if you want to send and receive money right in the messenger, the PayPal integration is at your service. Slack also offers chatbots for tracking financial operations. You can find more information on Slack website if necessary. Need to integrate your messenger with third-party apps? It’s up to Slack for sure. You can connect your account with 800+ different tools you use at work. This team messenger offers only 10 integrations in a Free plan. That is why you should be ready to pay if you need more. 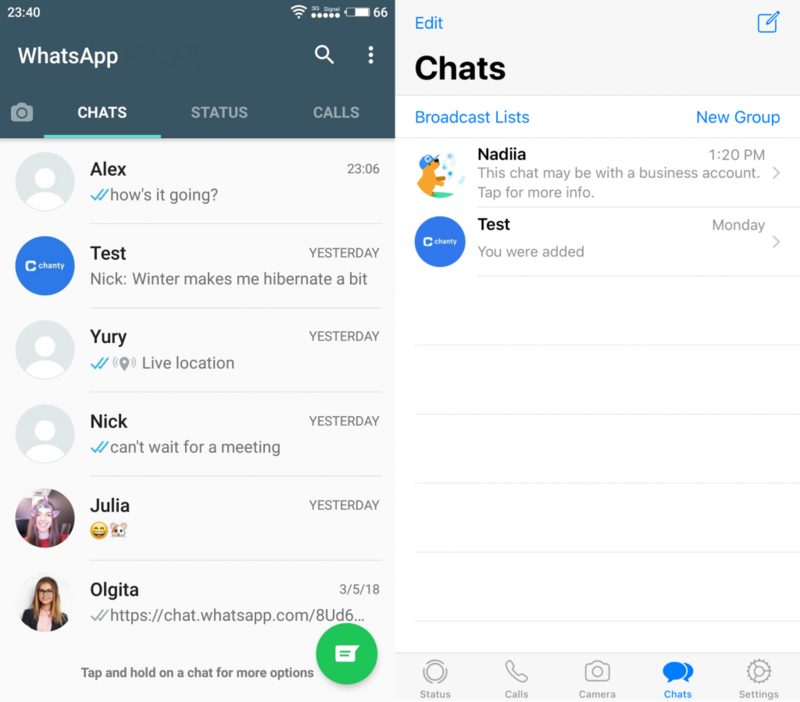 WhatsApp Messenger doesn’t integrate with third-party apps. Are integrations a deal-breaker for you? The large amount of other team communication tools will help you out. This article is more of WhatsApp Messenger versus Slack, but I couldn’t resist trying the new WhatsApp Business. This tool is free for now and is currently available on Android only. Sadly though, I didn’t find any mention of an iOS release. WhatsApp Business follows the design of WhatsApp Messenger for Android yet comes with some extra features. 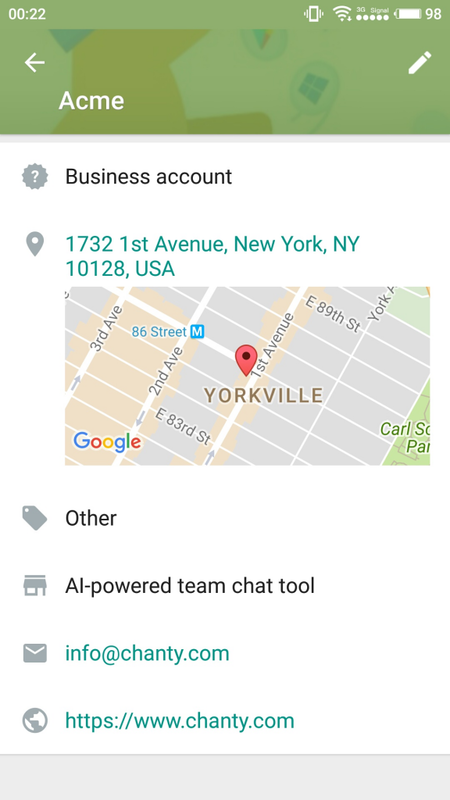 It offers to create a business profile with the description, category, address on Google Maps, business hours, email and website. Quick replies, Greeting and Away messages help people speed up the response time. Labels, in turn, divide contacts and messages into easily renamed groups. To sum up, WhatsApp Business strives to be more suitable for the needs of business communication. However, this messenger offers neither web nor desktop applications. That means WhatsApp Business has a big room for improvement for now. WhatsApp is a great tool for personal communication. It helps people to stay in touch with friends and family, sharing funny photos and sending voice messages. However, this messenger lacks some vital features like detailed search, video calls for more than two people and the most important – integrations. For the above reasons, I find this messenger not powerful enough for internal communication at work. 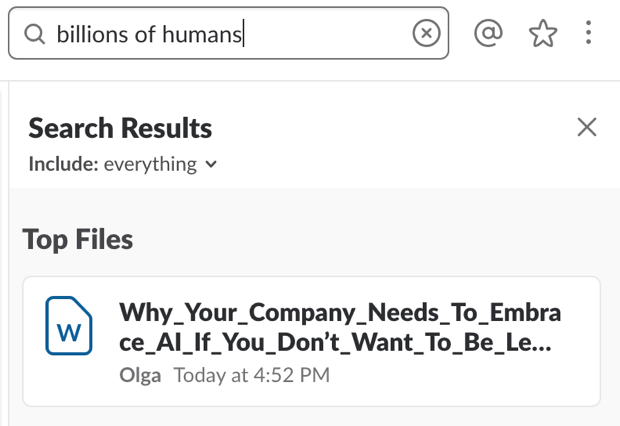 Slack is a great tool for businesses. It helps workers organize in-office conversations and connect apps they use daily. At the same time, this team chat tool imposes considerable limits in its Free plan (10 integrations, 5GB total storage and access to 10K last messages). If people don’t want to pay for more, they begin looking for more affordable alternatives. We are building Chanty – a simple AI-powered team communication tool that keeps the balance between powerful chat features and reasonable pricing. Give our business chat a try to save your time while working smarter, not harder. Enjoy the clean and intuitive interface, unlimited searchable history, a built-in task manager, essential integrations and much more. Haven’t tried it yet? 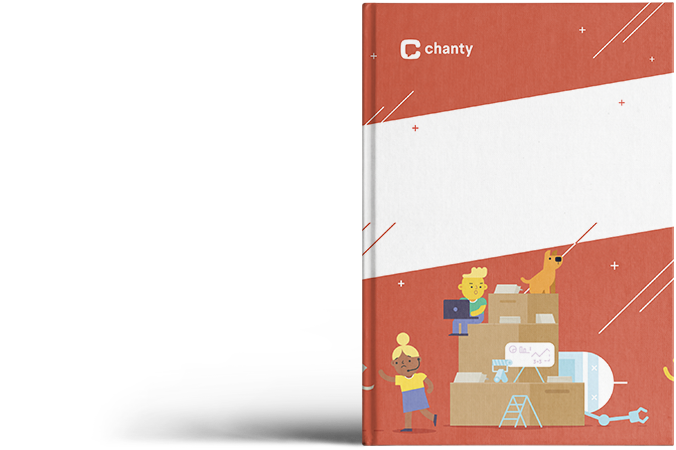 Give Chanty a chance and join our growing community of early adopters! You are incorrect that WhatsApp for business is not available on iOS. Any consumer on iOS or Andriod can communicate to business if the business has Whatsapp for a business account. Thank you for your comment. What Nadia wrote is “WhatsApp Business is free for now and is currently available on Android only. Sadly though, I didn’t find any mention of an iOS release.” This statement is true as there’s no standalone app for WhatsApp Business for iOS. 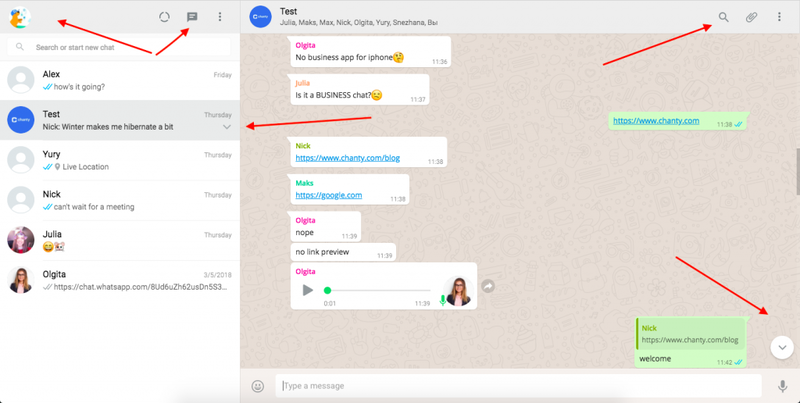 Yes, you can communicate with businesses via regular WhatsApp, however, you can’t create a closed universe for your team in a regular app while you totally can in Slack and Slack-like apps. I also think you missed one large point. Whatsapp is already used by only 1.5 billion users so their UI and customer familiarity advantage is huge. Even grandmothers can use WhatsApp. Slack is a good tool for developers. We’ve already referred to this stats in the post: “WhatsApp is one of the most famous mobile-first tools… At the moment, 1.5 billion people use WhatsApp for both personal and work-related conversations.” While you are right about the importance of a familiar UI in WhatsApp, I doubt that the 1.5 billion people are also using its desktop version. However, desktop and web apps are where work usually happens. 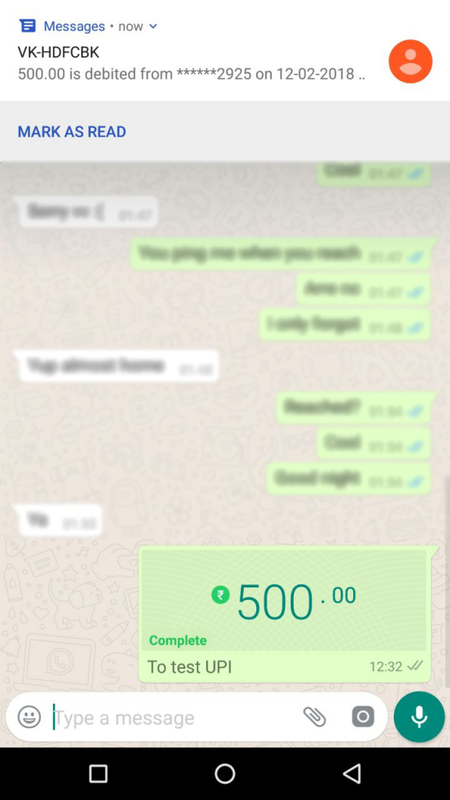 In this terms, I don’t see how WhatsApp mobile UI familiarity will help people who want to use it for work on a computer. I also don’t agree that Slack is for developers only. Every week we speak to dozens of teams who are looking for a team communication tool and consider Slack. While a big percentage of them are from IT-related fields, we also get teams from all kinds of industries – retail, insurance, real estate, hospitality, healthcare, education and many more.